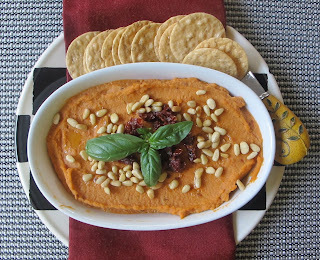 Hummus is generally made with tahini, not in the pantry, no problem, this recipe uses sun dried tomatoes. In a food processor combine beans, garlic, lemon juice, sun dried tomatoes, cumin, and cayenne process until smooth. Add olive oil and Vegenaise, salt and pepper and process again. Check seasonings. 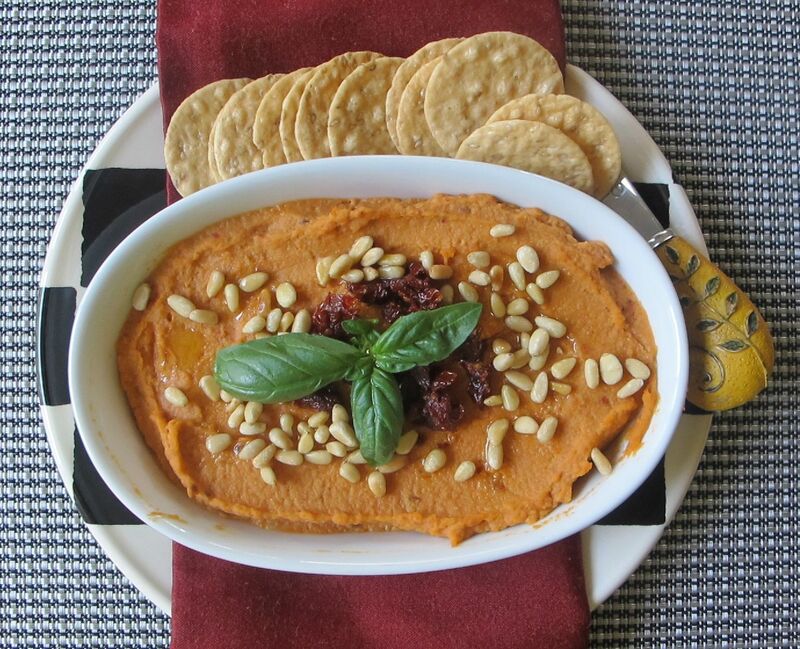 Put into serving dish and garnish with pine nuts, basil and tomatoes, if desired. Serve with crackers, chips, or fresh vegetables.